Big Game Days call for the BEST Finger Foods and Snacks! 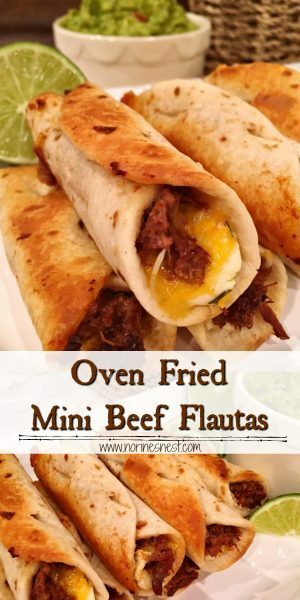 Like these amazing Oven Fried Mini Beef Flautas! 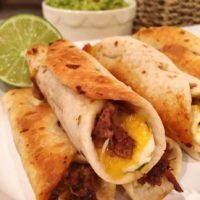 Flauta’s are rolled flour tortilla’s stuffed with meat and cheese and fried. What’s the difference is between a Flauta and a Taquito? Simply put…the tortilla! 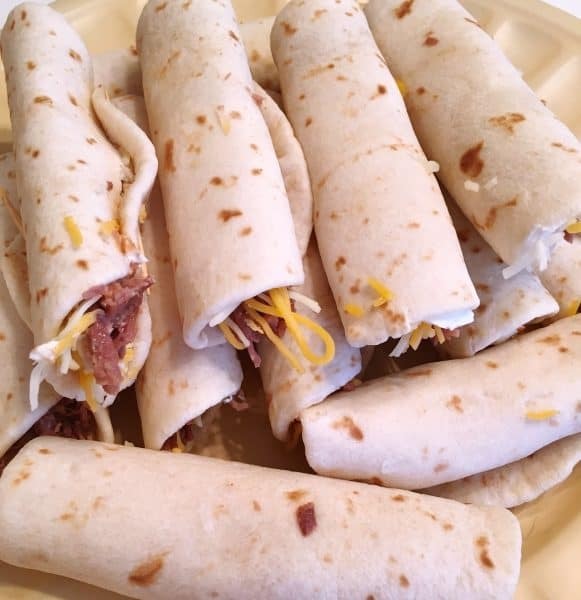 Taquitos are rolled tacos in corn tortilla’s and flauta’s are rolled tacos in flour tortilla’s. 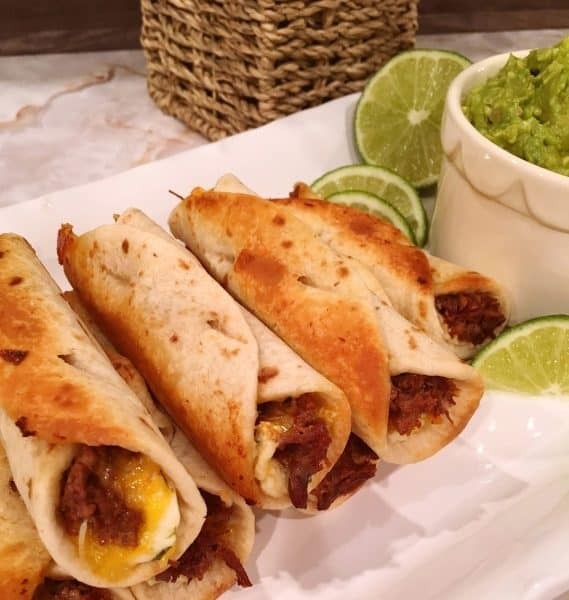 Let’s Make Mini Flauta’s with Fresh Guacamole! You can use 1 cup of any meat you have on hand. I prefer beef, but if you like Chicken, or pork, you can use either of those too. To make these quick and easy…because finger food should be “easy”…I used canned beef from Costco. 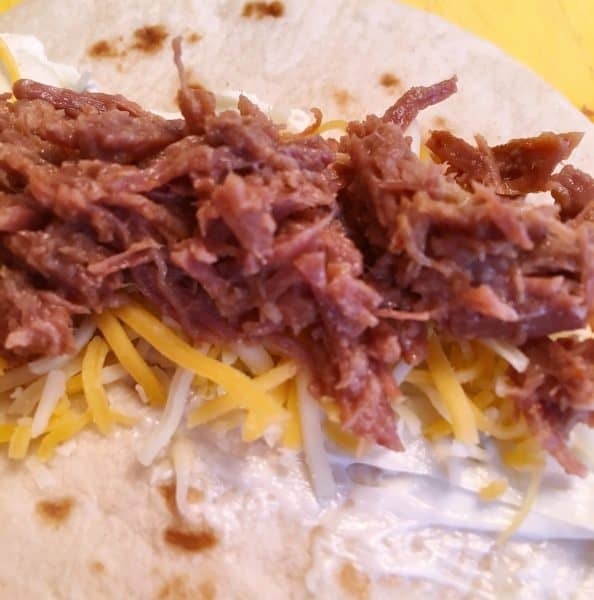 If you’ve never tried their canned shredded beef…it’s really good! You’ll only need one can to make 12 flautas. Add 2-3 Tablespoons of your favorite taco seasoning to the beef. Mix well. 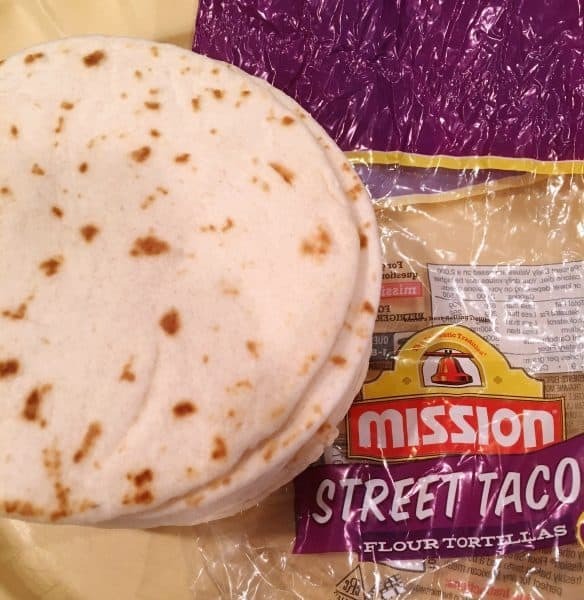 You’ll need one dozen mini flour street taco tortillas. Place them on a plate, cover with a clean towel, and microwave for 1 minute. This will soften them up and make rolling them a breeze! Let’s talk “party” food! This is a REALLY easy appetizer to make for any party that you are hosting! That was planned! I wanted a finger food that would be quick and easy to prepare. Nobody wants to be out in the kitchen during whatever event you’re hosting! That’s no fun! Granted some events I want to hide in the kitchen…but the Super Bowl isn’t one of them. I actually LOVE watching football! Back to preparing Mini Beef Flautas! 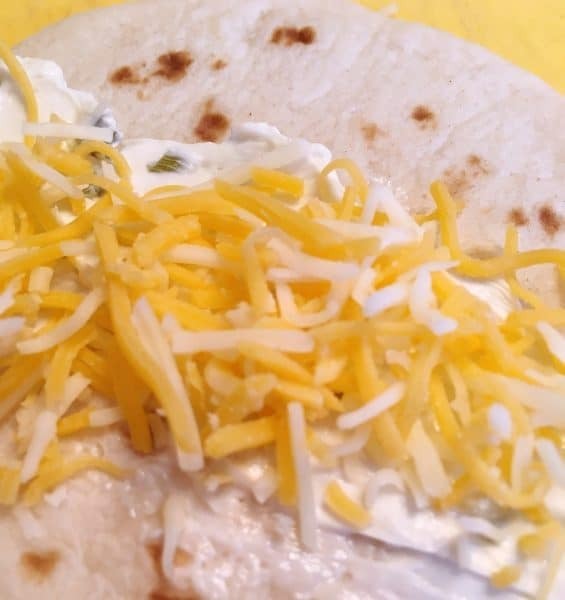 Spread about 1 teaspoon of soft cream cheese with jalapeno… OR, if you’re not a fan of heat or spice, you can use soft cream cheese with chives down the center of one of the mini flour tortillas. Now usually I’m not a fan of putting cream cheese in my Mexican dishes. However…this addition kicks up this yummy appetizer with more flavor! Place a heaping Tablespoon of grated cheese on top of the cream cheese. Place a Tablespoon of seasoned shredded beef, or the meat of your choice, on top of the cheese. Spear them! Okay maybe that’s overkill and a little violent…tack the top to the bottom using a toothpick. A nice round toothpick. Those flat splinters they call tooth pick won’t work! 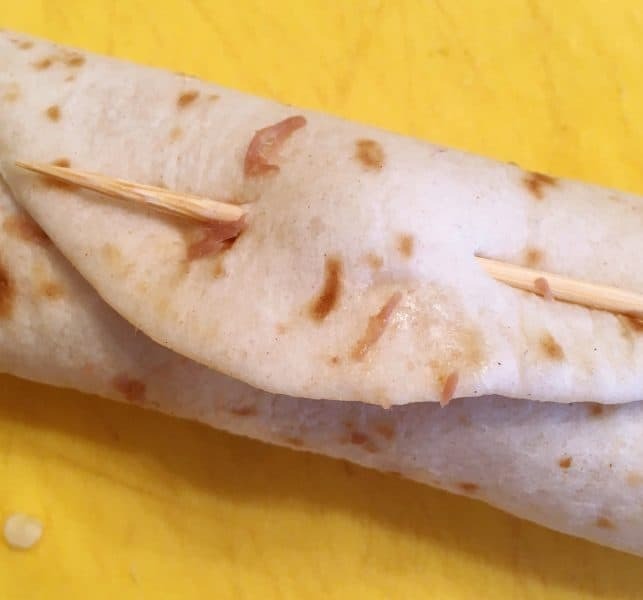 They’ll fall apart and you’ll have wood filled flautas! Yum! Continue the process until all the flautas are done. If the filling starts to escape…just poke it back in and keep on going! TIP: At this point you can cover them and refrigerate until you’re ready to bake them…OR you can bake them right away. I love the fact that these can be made ahead of time. In a small bowl melt 3 Tablespoons of butter. Using a pastry brush…or in my case a paint brush. Yep…being the “classy cook” that I am…I use a paint brush. Place in a preheated 375 degree oven. Bake for 10-15 minutes or until golden brown! Check them at 10 minutes! These little bundles can brown quickly! Now while those little flutes are baking…it’s the perfect time to make that fresh guacamole! 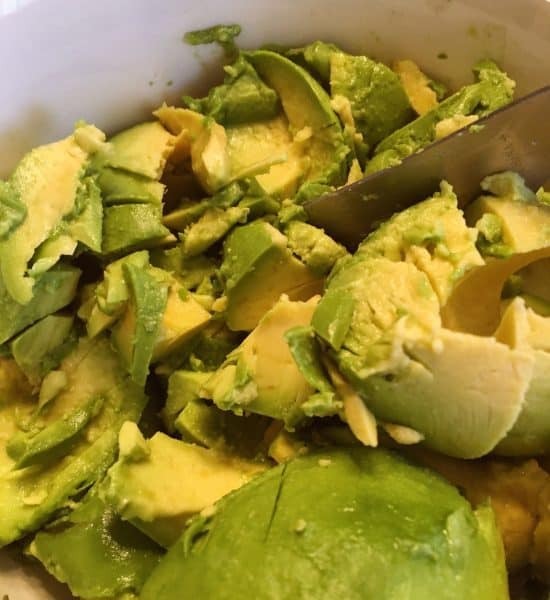 In a medium bowl add two peeled and pitted Avocado’s . Now as always…I’m just making recommendations. If you like that leathery skin…have at it. I hear it makes a dogs coat shiny…so imagine what your hair will look like! It’s like a two-fer one! Guac and beautiful hair! Using a fork mash the Avocados until semi-smooth and creamy. Season with Garlic Salt and Pepper to taste. Add 2 Tablespoons of jarred Salsa and mix until combined. You can make this ahead of time to make game day a little less stressful! 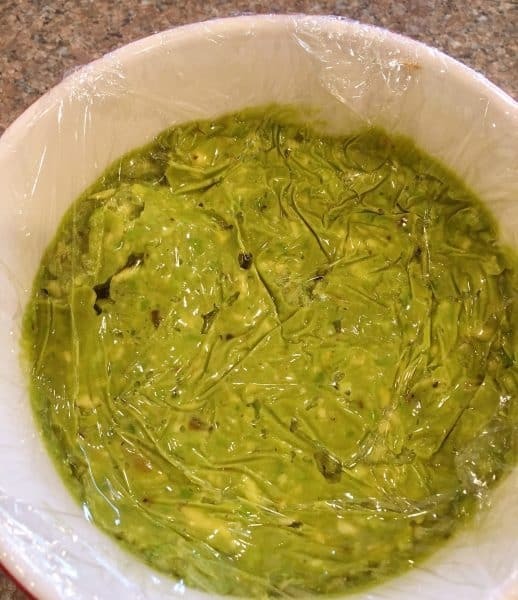 TIP: To make the guacamole ahead of time place a piece of plastic wrap down on top of the guacamole, and push it down so there is no air that can reach the guacamole. 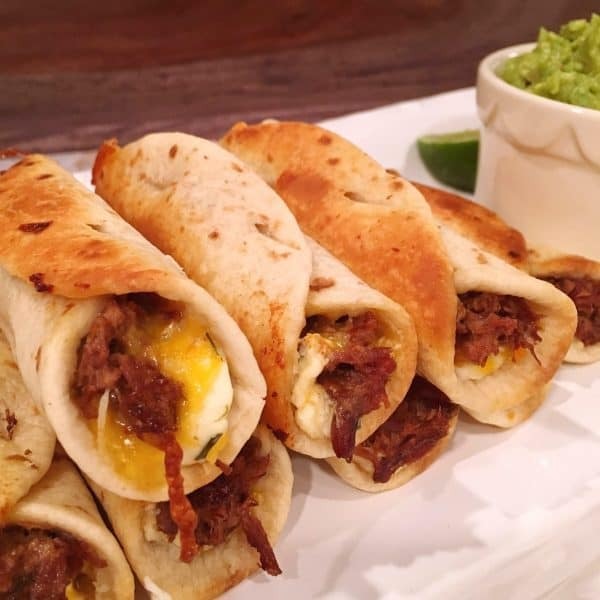 Place the Mini Oven Baked Flauta’s on a serving platter with fresh guacamole and lime wedges! The hardest part is not eating them all yourself before they make it to the table! They’re so crunchy, flavorful, and filled with all the yum! 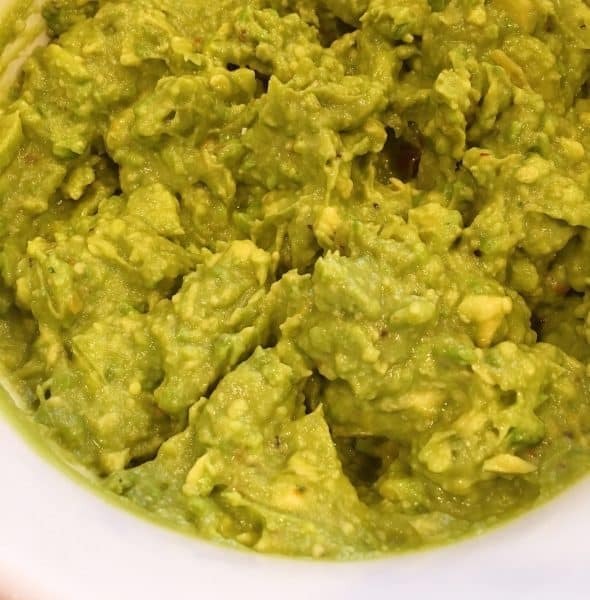 Dunk them in that Guac and it’s a solid win for the home team! 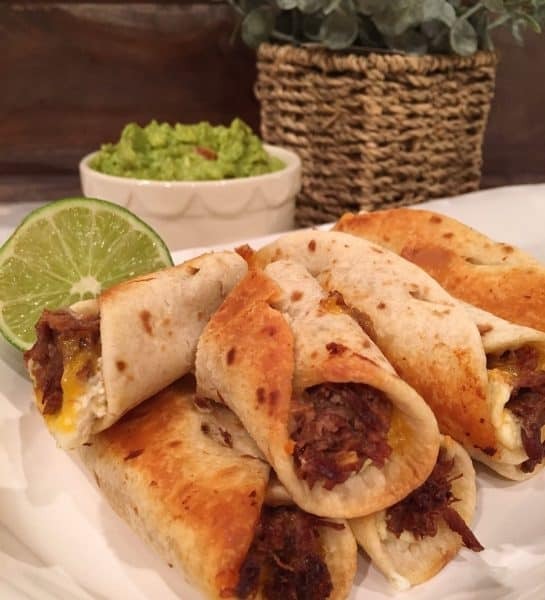 I know your guest will love these easy to make Oven Fried Mini Beef Flauta’s! They’re the perfect appetizer for your Super Bowl Party! Who ever your cheering for…your guest will be cheering for these delectable treats! The printable recipe is located below! Enjoy! I’m also sharing this yummy recipe on the following Link Parties…click the Links to join the FUN! 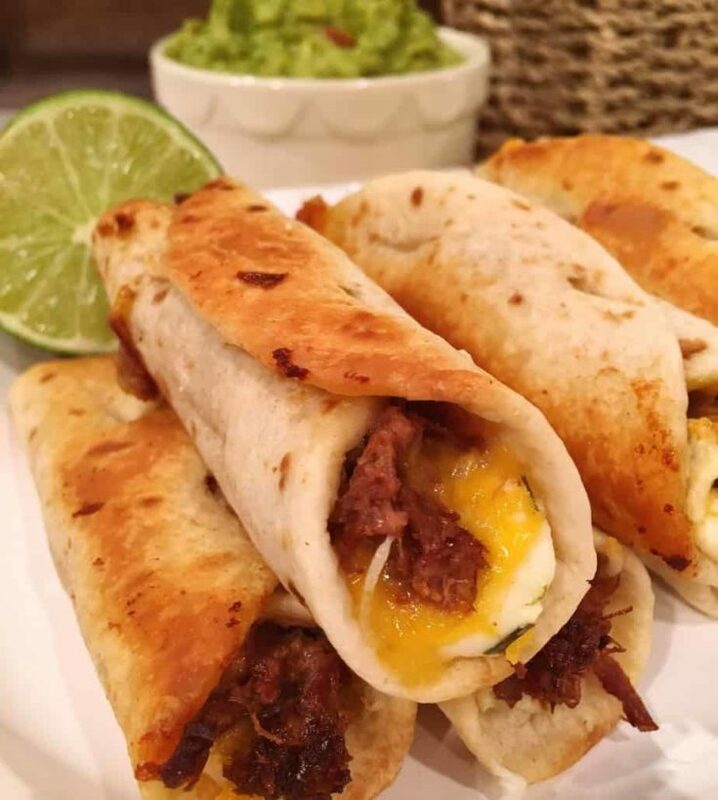 Mini Flour street tacos are stuffed with soft cream cheese with jalapenos, cheese, seasoned shredded beef, and baked in the oven until golden crispy brown. 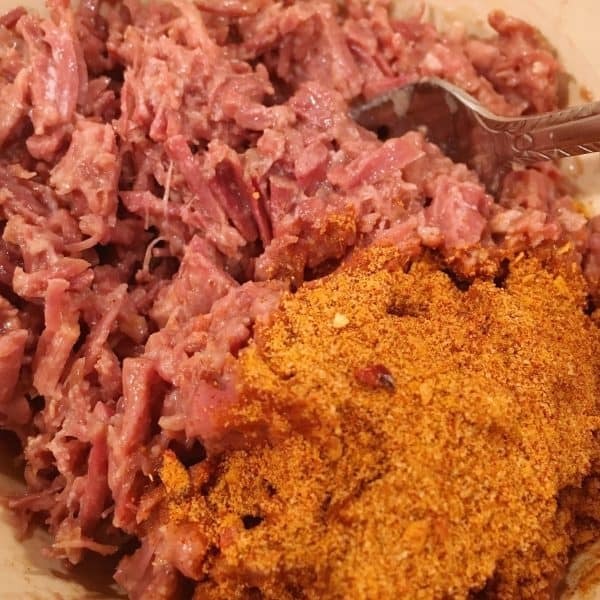 Place meat in small bowl with 2 Tablespoon Taco Seasoning. Mix well. Remove Tortillas from packaging and place on microwave safe plate. Cover with cloth and heat in microwave for 1 minute. 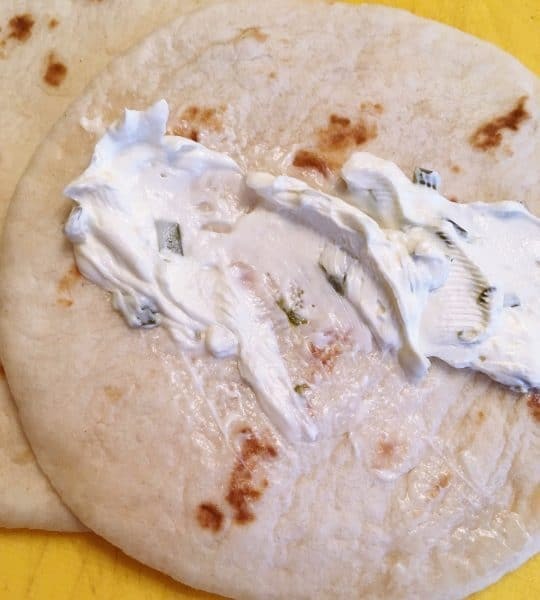 Spread 1 teaspoon cream cheese down center of tortillas. Top with 1 Tablespoon grated cheese and 1 Tablespoon of meat. Fold one side over the filling and roll towards the other side. Tack down with a toothpick. Place prepared flauta's on baking sheet. Melt butter in small bowl. 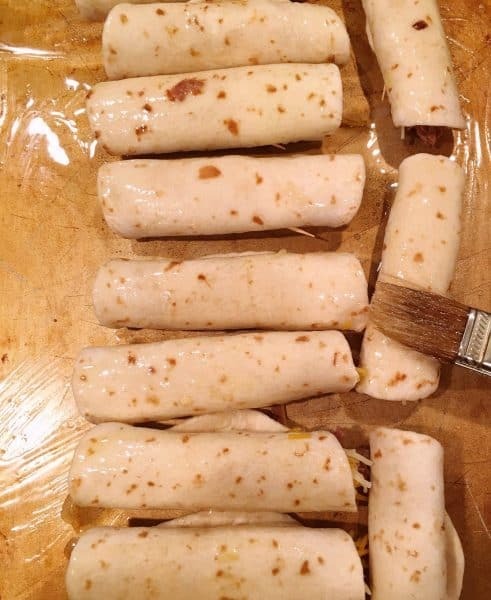 Brush each flauta with melted butter. Bake in oven for 10-15 minutes until golden brown and crispy. Remove toothpicks and serve immediately with guacamole. This looks heavenly! Although, I originally clicked to see your guacamole recipe. Have you ever tried leaving the pit in? I’ve heard it helps with browning. Might be useful if making ahead. Thanks for stopping by! You’re the BEST!